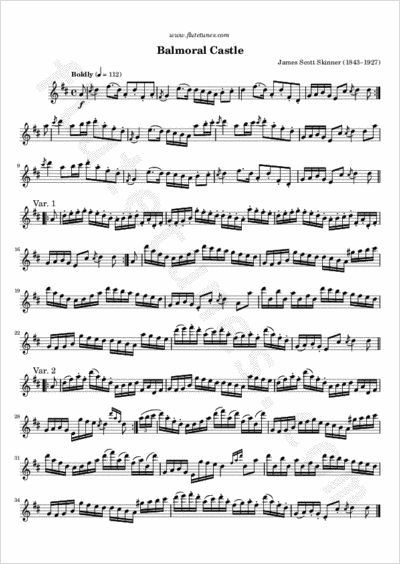 This march and its accompanying variations were composed by fiddler J. Scott Skinner after he visited the summer residence of Queen Victoria in Scotland, located between Braemar and Ballater on the river Dee in the Grampians. Skinner describes the music as a “March bright & teeming with life”. The first variation represents “a rush of water”, probably the river Dee as it runs through the castle's grounds.